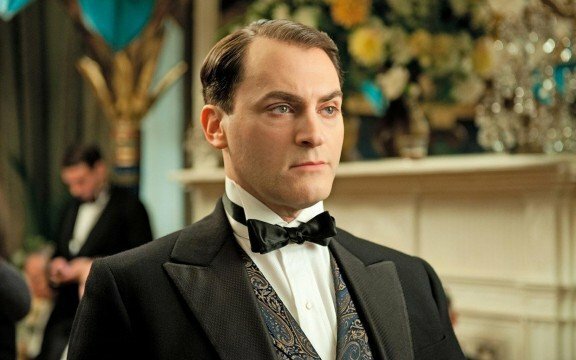 Former Boardwalk Empire star Michael Stuhlbarg has opened negotiations to board Guillermo del Toro‘s new project, according to The Hollywood Reporter, potentially joining Octavia Spencer and Sally Hawkins on the preliminary casting docket. Firm details for del Toro’s yet-to-be-titled drama remain under lock and key – all we know for sure is that it’s a cold war thriller at heart. There’s a palpable Pan’s Labyrinth tinge to the narrative, too, given that it’s described as “a mysterious and magical journey set against the backdrop of Cold War-era America circa 1963, with an otherworldly love story at the center of it.” All we need now is for Ofelia to hop from the Spanish Civil War to the Cold War. But we digress. Currently setting up its stall at Fox Searchlight, THR notes that the studio didn’t disclose anything official regarding the part that Stuhlbarg is in contention for, nor anything in regards to Spencer and Hawkins’ respective roles. Following up on the one-two biopic punch of Trumbo and Danny Boyle’s Steve Jobs, it’ll mark a change of pace for Stuhlbarg should he close a deal. As for del Toro, the Mexican filmmaker recently passed up on Pacific Rim 2, before flirting with Scary Stories to Tell in the Dark. Beyond a potential role in Guillermo del Toro‘s “mysterious and magical” feature, Michael Stuhlbarg also has a part to play in Marvel’s Doctor Strange standalone film, currently set for release in November of next year.